Making money is what everyone dreams about. People try hard to get more exposure to their blog. WP Engine affiliate program is one of the best web hosting affiliate programs in the market right now. Money making blogging has increased at its verge where people want to make a living. There are many bloggers who are having a great life just because of this. Don’t you want to make hundreds of dollars? I am sure, you do want to have a program which is easy to use and paying the most. WP Engine affiliate program is also one of the highest paying companies. It not only pays for the referral to the web hosting but also for the sub-referrals. In this article, you will come to know more about this amazing program and how can you make money with it. Every time you read something about making money, the first thing is to check whether it’s legit or not. Well, the internet is there to prove how WP Engine has been serving its customers for a long time. Before you join this program, you should know more about it. Let me point out some major benefits you can have. You may be thinking what does it really mean. Let me elaborate it. If you refer WP Engine to any of your clients or readers, you would get at least $200 for sure if they buy any service from WP Engine. And if the payment paid by your referred user is higher than $200$ than it will be your reward. You will receive that amount in your affiliate account. It means suppose someone buys any service from your referral link, you will get at least $200 for sure. Isn’t that win-win situation? This is what we’re talking about. 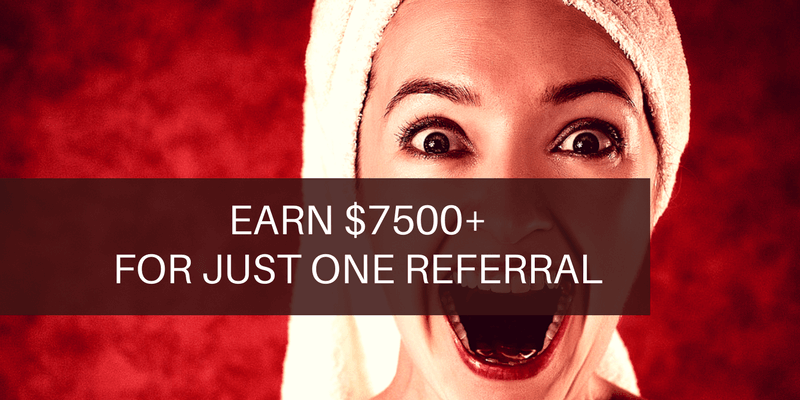 You can earn from $249 to thousands of dollars just for one referral. It depends on the type of account the person you referred buys. You may be thinking as if something lucrative is going to happen. Well, this is surely you should try. Depending on the type of purchase you made and the time duration, commissions are paid monthly. This is one the best things about this WP Engine affiliate program. No waiting time to receive your money. You can get it once the criteria of minimum income get filled. Most of the web hostings hold your affiliate money and make you wait for more than 2 months but not this one. WP Engine stores the cookies so that you can have the data of numbers of sales you have made and even the clicks. You can check it for the last three months. Isn’t that effective? You can monitor your progress so that you can improve your way of marketing. According to their words, they keep the cookies for around 180 days which are more than enough. No one wants to track their record more than 90 days. You can leverage the efforts of others. It means if someone signs up using your referral link then it comes the sub-affiliate. And if they use their affiliate link to refer other people, you will receive $50 for each of them. Isn’t that two in one benefit? You just have to place your affiliate links and try to get more exposure to make people understand the concept and start making money. Apart from the highest paying, discount for the sub-affiliate referrals, you get more benefits. The best thing is that you can meet someone for your affiliate program just like you get a customer support for your web hosting. There will be special banners to promote WP Engine for making more money. The more you promote, the more are the chances to earn money. And you know that visual content always works. Adding banners to your website at the top of the single post or in the sidebar can help you. WP Engine provides the special discount to your readers. So never hesitate to send your readers to this amazing and reliable platform. Many people even get 3 months of free web hosting through your referrals depending on the special coupons you use. One of the best things about this about the WP Engine affiliate program is that you get bonus money for multiple sales. Isn’t that amazing if you made 5 sales and get $100 extra as a bonus? It keeps increasing depending on the numbers of sales you make. Let me mention it in detail. For each sale, you will be rewarded with $200 and more. It means if you make 5 sales per month, you will receive $1000 and $100 bonus. And if you get success to make to 60 sales per month, you will receive $13975 for the sales and $1500 as the bonus which makes it $15475 for one month. You can earn thousands of dollars per month. The choice is yours. If you want to make money, you can join this affiliate program. What are you thinking about? Is there something you have in your mind? Well, clear it as soon as possible by knowing about ShareASale because that’s one of the best affiliate management platforms. ShareASale also provides the regular change to keep the program refreshed for major benefits. You can consult your affiliate manager for better promotional methods. People tell you about making money by using the affiliate links and all. But do they work all the time? I don’t think so. Though every individual has some special tricks to promote anything but still, there are some global ways which can help you leverage your affiliate links. As mentioned earlier, you will get custom banners to place on your website. You can use it in your blog posts. If you have a better authority blog, you can add below the title of your blog posts. There are many people who are also using them on the sidebar because it’s noticeable and people can reach it easily. What’s your favorite method? Are you thinking about adding it below the posts? Well, go ahead, it would also work. WP Engine provides you different types of affiliate links. You can use the short URL for adding text links in between your blog posts. You can also send it using your email newsletter. Email marketing is one of the major payouts. Use your email list for better exposure. You may be thinking as the revenue will get generated only if your referrals buy the web hosting. You’re wrong. WP Engine is a vast platform which allows its affiliated users to earn money even by sending people to all the service pages. Whether it’s on the speed testing tools or any other service page. You will get paid for sure. As all the links in this post will take you to an affiliate form to become an affiliate of WP Engine. Isn’t that easy to redirect your readers to the page you want? WP Engine provides the banners which are easy to load and don’t affect the page loading time of your website. You can get the banner code or the link code by logging to your ShareASale affiliate account. It will also help you get black Friday special banners. Maintaining your website speed is really important. You can’t compromise it with any affiliate program. That’s where WP Engine wins. This isn’t a question to ask but still, I just did. Are you still striving to find the best web hosting affiliate program? Well, the search is over because now you can join WP Engine affiliate program to earn more than $7500 dollars just for one referral. It can be tricky for many because of the complicated environment around affiliate marketing. But I hope this article has cleared all the concepts. Making money through affiliate marketing is what most of the reputed bloggers are doing. Why can’t you? From my personal experience, ShareASale is one of the best affiliate management platforms and WP Engine affiliate program is what you can sign up for. If you have any doubt, feel free to ask. I would be happy to help. How To Remove URL From Google Search Engine Using It’s Webmaster Tools? I found this one very interesting. I’m not a fan of seeing ads on sidebars and I have cleaned mine up. But if the link makes sense in a post I’m all for it. I just checked your sidebar and it still looks clean though. Do you have any stats on which work best? Or is a landing page the best route to go? Thanks Ravi for sharing this one with us today. Showing ads can be irritating but adding the banners can be effective. It’s up to you and the marketing you do. Having a landing page is also a great idea but it requires some serious efforts. I use social media marketing to leverage it. Try it and you will feel the sugar of money. It is a good idea to make money with your keywords used within an article. I’d like to add one more point about intensive research & link building required for Affiliate promotion. That is truly amazing. I never encountered with such an amazing Affiliate program. This literally proves the term called Rank and Bank. Thanks Ravi for letting us know about it. Nailed it, man. Outstanding article. I noticed this article on Facebook – this post was either shared by you or someone else – not sure, I clicked it though to check the heck what’s mentioned here. I liked this post. Nonetheless, I’ve never been with their affiliate program and I had been researching to know more about them for a while and gain some knowledge about their program. So far so nice for me. This is one of the highest paying affiliate programs in the market right now. The best part is about their commission schedule. I receive it quite often and that’s the reason I am trying to spread it so that more and more people can have the benefit. Hopefully, that’s going to be great for many. Well this is surely different than any “standard” affiliate programs. Thanks for spreading the news about this and how it all works. Seems like a no-brainer to me if someone wants to make money. You know I will be spreading this around. No doubt that WP Engine is one of the highest paying companies in the market right now. At least $200 for one sale and it can go on and on depending on the sale you make per month. I found it a few months ago but never got a chance to let people know. I am glad to spread it so that everyone can have the benefit.